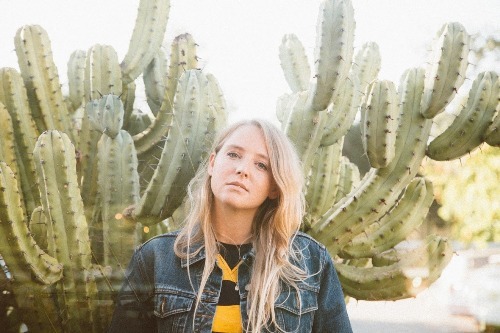 American singer-songwriter Lissie returns to the UK at the end of November for a tour that includes a show at Birmingham's O2 Institute on December 3. The tour coincides with the release of her new acoustic album, Live at Union Chapel, recorded in London last year. 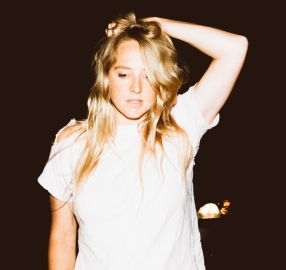 Lissie – full name Elisabeth Maurus - celebrates her 34th birthday on November 21, a week before the first UK concert at Glasgow's Old Fruitmarket on November 29. Her debut album, Catching A Tiger, was released in 2010, with follow-up, Back To Forever, also making the top 20 in 2013. Last year Lissie decided to make a change and left her home in Ojai, California, to move back to her native Midwest 2000 miles away, to live on a farm in Iowa. With no strict schedule forced upon her she was able to take her time over her third album, My Wild West, and let things happen naturally. "In writing My Wild West I had no idea at the time I was going to leave California and move back to the Midwest,'' she reveals. ''I feel like the creation was predictive of the changes that were coming. The moment I decided not to make an album was when I really started to make the album." My Wild West was released in 2016, a year in which Lissie has played a sold out European and US tour and done multiple performances at SXSW, including a special appearance for the Luck Reunion at country star Willie Nelson's ranch, as well as numerous festival dates. Wild West, the third single from the album was released in July accompanied by an innovative video. Director Talain Rayne had the idea to have his friend's children star in and shoot the video. Talain turned up at the family's house, armed with his camera and recording equipment. The childrens' reaction to the news that they were in charge can be heard at the beginning of the video. They were shown how to use and record with the camera and left to their own devices for a week - the Wild West video is the result of their first foray into the world of film. One of the most powerful tracks on the album is Daughters which took its cue from Liberian peace activist and Nobel Peace Prize winner Leymah Gbowee. In March, Lissie partnered with charity:water in support of International Women's Day to raise awareness surrounding the mission to bring clean and safe drinking water to people in developing nations. She released a pay-what-you-want download of Daughters which raised over $4,500 for clean water projects. Dec 14: Rescue Rooms, Nottingham. I think this will be a great tour!